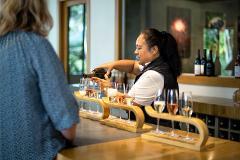 Depart 1pm Picton 1.30pm Blenheim Immerse yourself in the heart of the vineyards where you will visit three-four carefully chosen wineries in an afternoon. Complimentary Pick up from your central Picton or Blenheim accommodation. 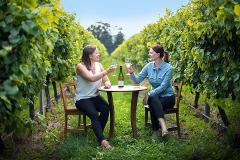 Depart Picton 10am Blenheim 10.30am Need a little longer to enjoy more of Marlborough’s best? Discover the diversity of this famous wine region, visiting approximately six or seven wineries. A winery lunch stop is included. Private Guided Tours (available year round) Customized in-depth tours for 1–4 people are available, with larger groups by arrangement. Complete flexibility to suit your requirements and total exclusivity in modern, comfortable vehicles. 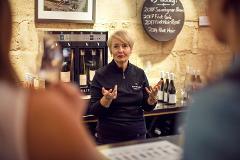 Our gourmet tour is truly the ultimate experience for anyone who enjoys good food and wine. It offers a fascinating insight into the gourmet world of Marlborough wine and food in an interesting and enjoyable way. 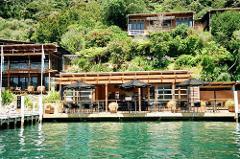 Cruise the Queen Charlotte Sound before enjoying brunch at the luxury Bay of Many Coves resort overlooking the stunning bay. 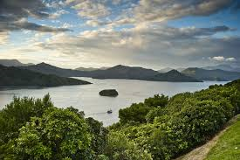 You will then return to Picton by boat and spend an afternoon visiting the best of the Marlborough wine region. This is a full-day tour which will take you across the Wairau Plains into the picturesque town of Havelock. Enjoy morning tea before departing through the Queen Charlotte Drive to Picton. Then join us for our Half Day Wine Tour. Spend your afternoon exploring the Marlborough wine region, before departing on your boat to the award-winning Lochmara Lodge.